Makena State Park comprises 165 acres (0.7 km2) in Makena, south of Wailea on the island of Maui, Hawaii. 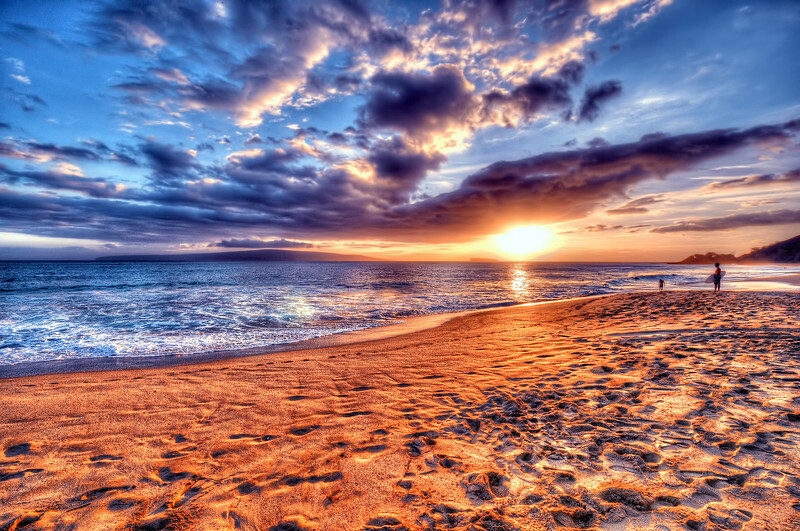 Big Beach, also known as "Oneloa Beach" and "Makena Beach", is a popular spot for sunbathing and bodyboarding. The shore is fairly protected from wind. Āhihi-Kīnaʻu Natural Area Reserve includes a coastal lava field and surrounding waters on the southwest coast. Annual rainfall ranges from 15 inches (38 cm) along the coast, to 24 inches (61 cm) along the mauka (upland) boundary. There is distinct seasonal variability in rainfall, with much of the precipitation from winter storms. The Kalua O Lapa flow created lava tubes and depressions near the shoreline. Some of these depressions extend below sea level, allowing seawater to infiltrate and form shallow ponds. These characteristics created at least four unique native terrestrial habitats like Aeolian, Lava tube cave, Littoral (associated with the coast) habitats and Seabird nesting habitats.